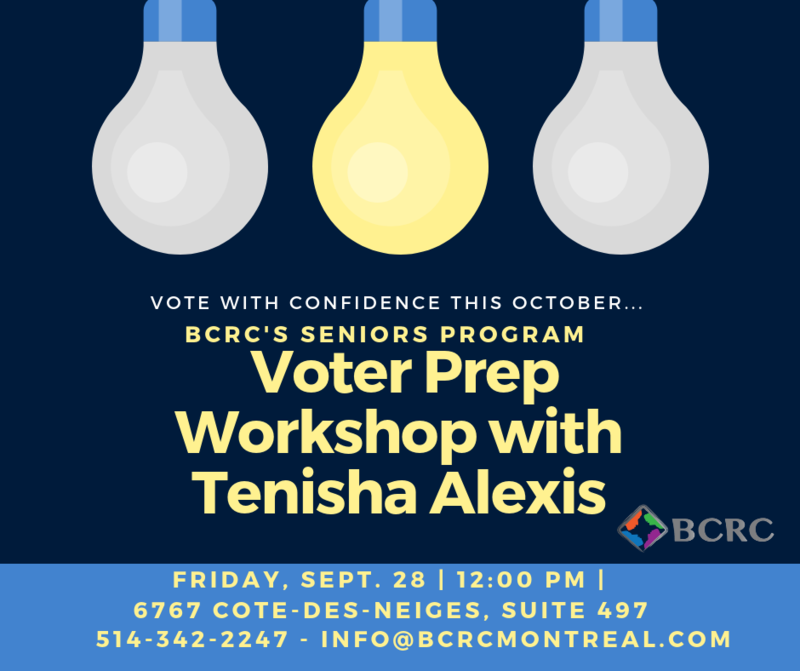 Come out and join us in our voter prep workshop taking place Friday 28th September 2018, 12:00 pm. The workshop is a part of a series of workshops being offered through our Seniors Program and is open to anyone who wants to participate. We will be building awareness about the upcoming elections, reviewing how to vote and what the whole electoral process means to our democratic society. Voting on October 1st 2018 is critical to the future of Quebec.